During the days of Eli, God seldom speak to people through dreams and visions. Eli answered, “I did not call you. Go back to sleep.” So Samuel go back to his mat and sleep. 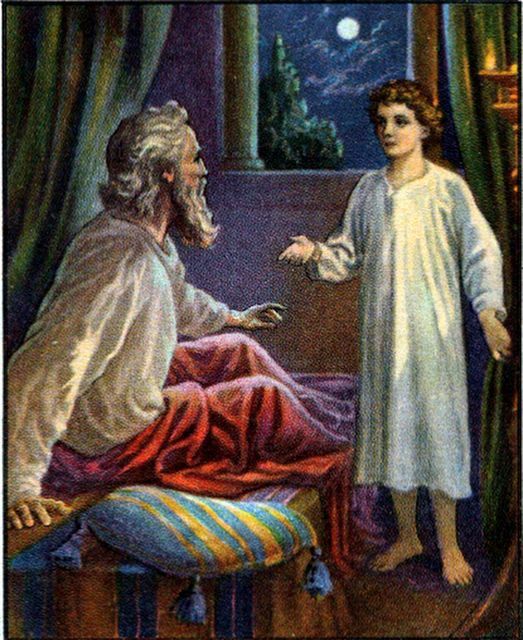 God never spoke to Samuel before so Samuel was not familiar with His voice. The next day, Samuel woke up and walked into the temple of the Lord. Samuel didn’t went ahead to tell Eli what the Lord had spoken to him because he was afraid of Eli. So Samuel told Eli everything the Lord had told him.